The chair of the subcommittee on African affairs wants full transparency. United States Arizona Senator Jeff Flake on Friday night called on the Zimbabwe Electoral Commission (ZEC) to stand by its word on transparency and release all polling data. Flake said in order to instil confidence in the July 30, election results, ZEC must make good on its commitment to release comprehensive polling data in a transparent manner that includes results from each polling station signed off by party agents who were present for the casting of ballots and the tabulation of results. “Challenges to the results must be pursued through legal channels,” he said. Flake, who is also chairman of the Senate Foreign Relations Sub-committee on African Affairs, also said the post-election violence in Zimbabwe rekindled the memories of the oppressive days of former president Robert Mugabe. 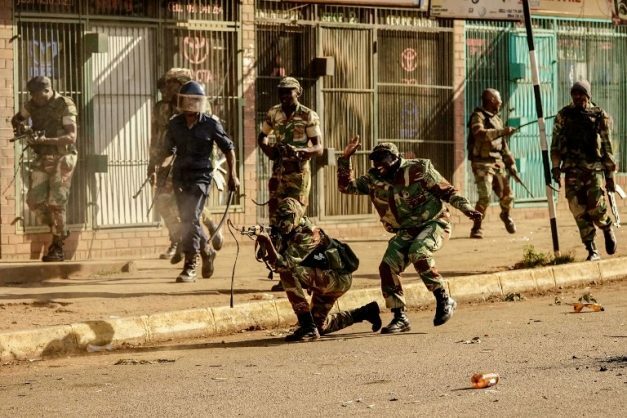 “The use of the Zimbabwean military to respond to political protests, or the use of the police force to disrupt press conferences, does not signal a new era. Rather, it echoes a dreadful past,” he said. Flake was in Zimbabwe to observe the elections and said that on July 30, citizens walked for miles for the chance to cast a vote that mattered. “During my visit to nearly a dozen polling stations scattered throughout rural Zimbabwe … I saw representatives of Zanu-PF and MDC-Alliance sitting together, chatting amicably and helping each other keep proper tallies,” he said. He emphasised that the recently held elections presented Zimbabwe with an opportunity to break from the past. Violence broke out in Harare on August 1, and claimed the lives of at least six people, leaving many more injured. Suspected MDC-Alliance supporters clashed with armed forces as they demonstrated against alleged electoral fraud. Zimbabwe Republic Police also dismissed journalists who had gathered for a press briefing by MDC-Alliance leader Nelson Chamisa. Chamisa later told journalists that he was going to pursue legal remedies to seek redress over rigging.